If you want to use HANA express edition on aws you probably want to install your own instance to get familiar with SAP HANA installation on the cloud and get more control over your configurations and application deployments. Follow the below blog to install you free HANA expresses edition and make it accessible from the internet. Most of the steps are very straight forward and it will take you 3-4 hours to download and install. Get yourself familiar with SAP HANA, express edition. Chose S3 service from aws console. 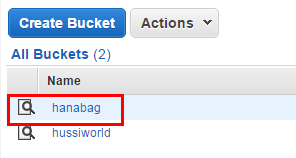 Create a new S3 bucket “hanabag” or of any name you want. 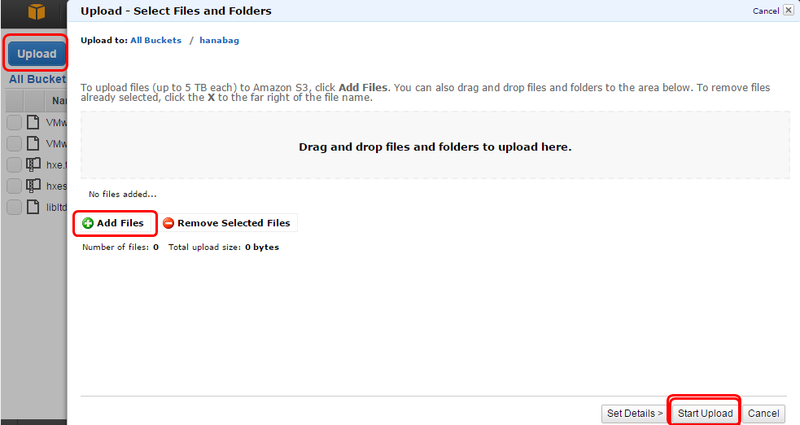 Add files to upload the binaries to the bucket. 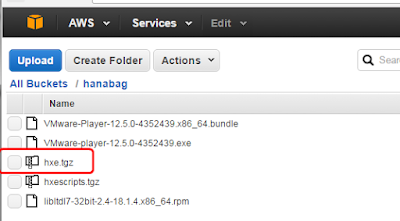 Size : m4.xlarge (16 GB RAM) — > HANA express will not install on 4 and 8GB RAM instance . For simplicity , I have used root partition for installation. You can also create a separate partition /hana of 50 GB . 3. Copy installation files from S3 to EC2. 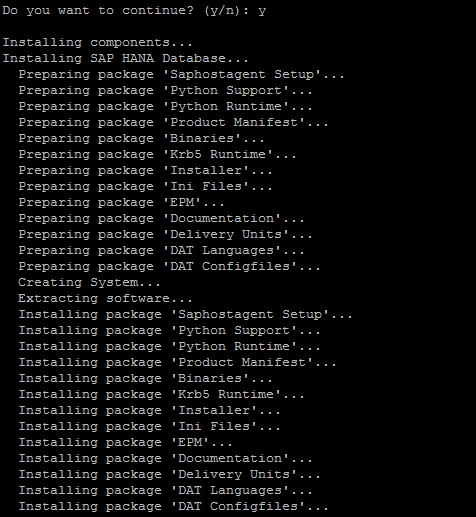 Login into the putty console and create a directory /hana/download Copy the installation files from s3 bucket. #aws s3 cp s3://hanabag/hxe.tgz . Install the missing library or else installation will fail somewhere it between . Run installation with below command. The installation is pretty straightforward. 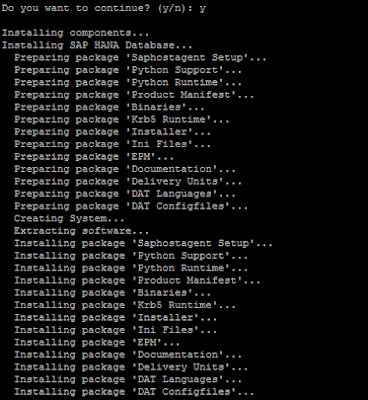 You have installed HXE system with HDB00 instance. 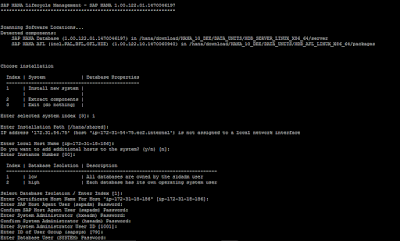 Check the status of hana with HDB info command. 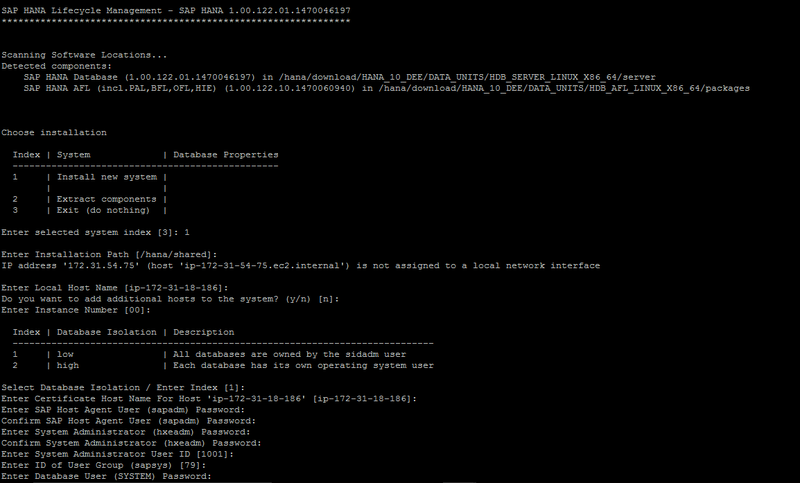 A public DNS record is created to access your ec2 instance from outside world (from outside Amazon VPC. But this is not a permanent record. Every time you reboot ec2 instance a new Public DNS record is created and associated with it. For this purpose, we use Elastic IP. An Elastic IP address is a public IP address, which is reachable from the Internet. If your instance does not have a public IP address, you can associate an Elastic IP address with your instance to enable communication with the Internet; for example, to connect to your instance from your local computer. 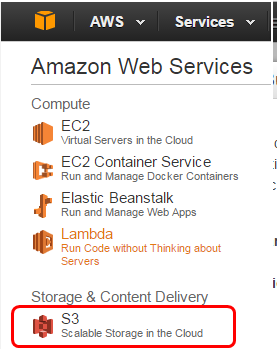 Right click “Create association” and select the new EC2 instance created. Now if you have a registered Public domain , you can redirect to elastic IP address. You can permanently use this IP address or the Public domain address to reach your installation from your internet. What will AWS instance and storage Cost ? All cost are region specific , below I have considered US East (N. Virginia) region. 16 GB instance m4.xlarge is NOT under free tier . You will be paying around 5.8 $ for a full day of usage. So consider shutting down your instance when not in use. Free tier covers 30 GB of Amazon Elastic Block Storage in any combination of General Purpose (SSD) or Magnetic, plus 2 million I/Os (with EBS Magnetic) and 1 GB of snapshot storage. 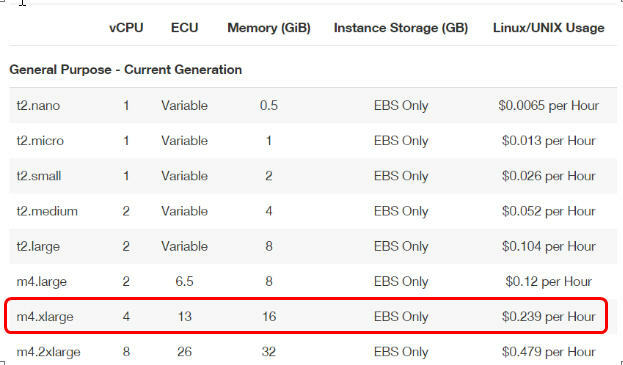 Even if your EC2 is stopped , you will still be paying for the EBS storage attached to your instance. 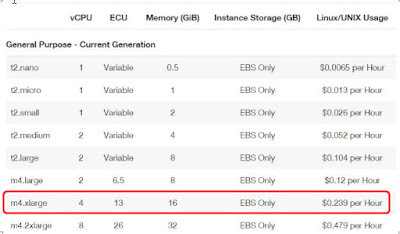 You will be charged $0.005/hour only if the instance associated with it is not running or if you have reserved an elastic IP and not associated with any running EC2.